Green and harmony are the mainstream of the social development in modern times and the construction materials are also following the developing trend. The domestic construction industry and the mining machinery industry are both working on the research and development on the energy conservation and emission reduction. They all aim to realize the green economy following the people first principle. Being the same with other competitors, our company as one of the leading mining machinery enterprises in China is going the same way to high technology and environment protection. We have made a lot of efforts and have made much contribution to the national economy, which help our company to win the trust and praise from customers at home and abroad. 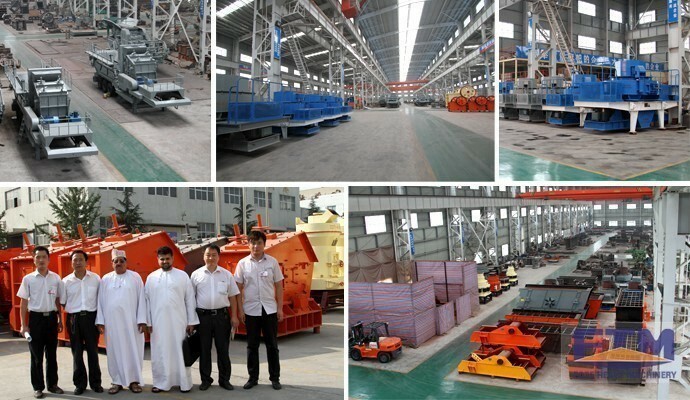 We succeed in developing the core production technology of making crushers, vibrating screens, sand makers and grinders. These machines have quite a wide range of applications in many industries. In recent years, the Chinese mining machinery market is expanding very fast and the competition among different enterprises is getting rather fierce. It’s proved that only by grasping the core products with unique technology can these companies stand out on the future economic stage and can they win as many pieces of market share as possible. The technology and the quality of the products are the two main factors that form the foundation of a company’s long tern development in order to realize the high speed growth. Facing the globalization of almost every industry in the world, the domestic mining machinery enterprises need to be very clear about the current developing situation and be aware of the obstacles in front of them. Sticking to the quality and brand of the products will be the greatest competitiveness for all enterprises.